As October continues to march on we have been getting more and more questions as to whether trees can still be planted this time of year. The answer is a resounding YES! As the temperatures get cooler, the soil still being warm and the hours of daylight in a day keep getting shorter trees continue to develop new roots making it an excellent time of year for them to establish quickly. As far as deciding which tree would work best for your needs, there are a few things you should consider. Firstly, if it is in a highly visible area where aesthetics would be more important, such as the front lawn or by a patio, trees known for their ornamental aspects such as flowering, fruiting, fall color, and attractive foliage and bark would probably be excellent choices. 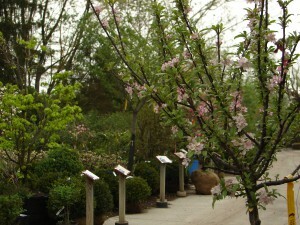 Most of these also do not become quite as large as some other trees, making them easier to fit into a landscape design. Flowering cherries, pears, and crabapples, as well as serviceberry, birch, and Japanese tree lilacs are some excellent choices. If it is in an area where the tree can grow quite large and shade is desired, there are many shade trees that do extremely well here in our soil and environmental conditions. Many are also known for their fabulous fall foliage colors which make them an exceptionally striking component of the landscape this time of year. 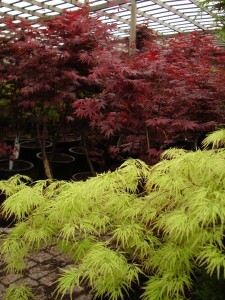 Some excellent ones to consider are Red and Sugar Maples, Oaks, Sweet Gum, Tulip Trees, London Plane Trees, and Linden. Also, the position of the tree in the landscape and how open the area is to sun and wind can be very important. 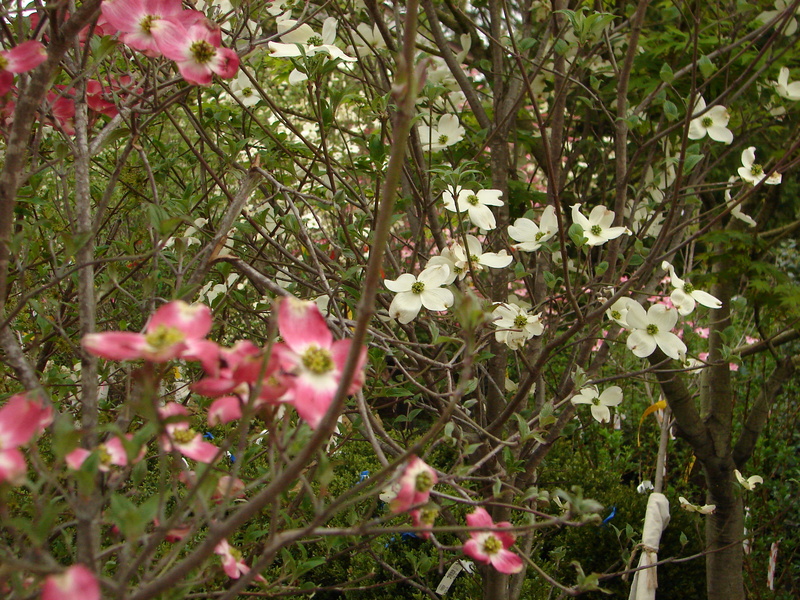 Many of the more popular ornamental trees, such as Dogwoods, Japanese Maples, Tri-color Beech, and Magnolias prefer the eastern side of the house or building where it is protected from the hot afternoon sun and the harshest of the winter winds that can come from the west. We often get many questions about very small trees for smaller areas such as by the entrance of the house or patio area, or as a component of landscape and garden beds. While most of the trees mentioned in this post are going to grow to at least 15 feet or larger, we often suggest shrubs that are grafted or maintained into a tree form that do very well in small areas. Great ones to consider are tree-form Lilac, Hydrangeas , and Wisteria, as well as some smaller growing Weeping Cherries and Crabapples. Another important thing to consider is what the tree looks like in the winter. All of the trees mentioned so far are deciduous, meaning they lose their foliage in the fall and look bare in the winter. Evergreens are often great options to look into for winter interest such as White Pines, Colorado Blue and Norway Spruces, and Hemlocks. Some evergreens such as junipers and arborvitae are smaller growing and would also make excellent borders and hedges. There are also some deciduous trees that have extremely attractive bark such as Birches and London Plane Trees. In addition to tree planting, this is still a great time of year for planting shrubs and perennials. This entry was posted in Gardening, Landscape and tagged Columbus, Fall, garden center, nursery, Ohio, Planting, Trees. Bookmark the permalink.